AFTER ONLY 23 GAMES in the Midwest League, the Chicago Cubs’ first-round draft pick (fourth overall), Kyle Schwarber (Wareham, 2012-13), received a promotion to High-A Daytona (Fla.) last week. Schwarber was the MWL’s Player of the Week in his first full week at Low-A Kane County and his hot hitting continued for the rest of his tenure there: .362, eight doubles, four home runs, 27 runs scored and 25 RBIs while splitting time at catcher, left field and DH. Through his first 29 professional games over three Class A levels, Schwarber was hitting an even .400 … Mike Yastrzemski (Cotuit, 2010-11) is making an easy transition to the Double-A Eastern League after his promotion during the MLB All-Star break. In his first four games for the Baltimore Orioles’ Bowie (Md.) EL affiliate, the former Vanderbilt star was batting .353 (6-for-17) with two doubles and a triple. After 90 games and 368 at-bats over two seasons of play-for-pay baseball, young Yaz’s line read .366/.533/.898 with 23 doubles, 13 triples, 11 home runs and 63 RBIs ... CCBL Hall of Famer Carlos Pena (Harwich, 1996; Wareham, 1997; Class of 2003) had a chance to say hello to a 2006 Boston Red Sox teammate Sunday night in his return to Triple-A Round Rock. The Express hosted player-coach Manny Ramirez and the Iowa Cubs and scored a 12-inning, 4-3 walkoff victory. Pena entered the game as a defensive replacement in the 11th and singled in the home half of the inning. Round Rock’s Brent Lillibridge (Harwich, 2004) hit the game’s only home run, a solo shot in the 11th that knotted the score at 3 after Iowa’s star prospect, Kris Bryant (Chatham, 2011), had scored the go-ahead run in the top of the frame. Bryant, the No. 2 pick in the 2013 draft, finished the night 1-for-6. 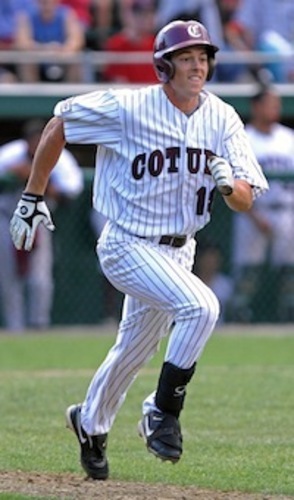 Jason Donald (Cotuit, 2004-05) started at second base for Round Rock and went 1-for-2. REDBIRD’S REHAB: On June 17, the Memphis Redbirds placed right-handed pitcher David Aardsma (Falmouth, 2002), their closer, on the Pacific Coast League’s seven-day disabled list. More than a month later, he’s still on it and little has been heard of the Cape Cod Baseball League Hall of Famer (Class of 2010). Of course, the Triple-A Redbirds and their parent club, the St. Louis Cardinals, are well aware of Aardsma's status, but they’re not talking. All we have been able to learn is that the Redbirds’ best reliever remains at St. Louis’ spring training complex in Florida, continuing to rehab from a groin injury that may or may not be tied to the hip and elbow problems that required two operations, including Tommy John surgery, two years ago. Before the injury, Aardsma was pitching extremely well. In 28 appearances, he was 2-0 with a 0.91 ERA and had saved 11 games for the Redbirds. In 29 2/3 innings, the star of Rice University’s 2003 College World Series championship team had scattered 15 hits, walked 14 and struck out 28. Aardsma appeared on the verge of a promotion to St. Louis before going down. ... Aardsma and Carlos Pena (Harwich, 1996; Wareham, 1997; Class of 2003) aren’t the only CCBL Hall of Famers currently cashing minor league paychecks. George Greer (Class of 2002) and Cory Snyder (Class of 2003) are working as Triple-A hitting instructors in the Pacific Coast League. Greer (Chatham, 1965-67), in his ninth year with the New York Mets organization, is with the Las Vegas 51s. 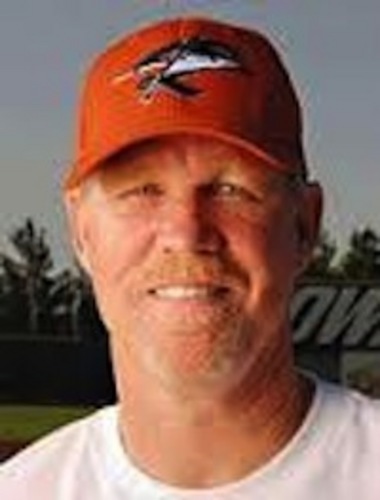 Snyder (Harwich, 1983), the Cape League’s all-time single-season home run champion (22) and a former Cleveland Indians outfielder, works with the Seattle Mariners’ top farm club, the Tacoma Rainiers. Westerly, R.I., native Greer was a successful college coach and won three CCBL championships managing at Cotuit (1981, ’84 & ’85) before returning to the professional game. CYCLE BUILT FOR THREE: They say the odds against hitting for the cycle are about the same as those against pitching a no-hitter. But what about three cycles occurring on the same day, two of them by former CCBL players? A rare triple-cycle day was completed Monday night, July 14, when catcher-outfielder Mark Zagunis (Harwich, 2013), the Chicago Cubs’ third-round pick in last month’s draft, got his during short-season Boise’s 11-6 Northwest League win over Spokane. 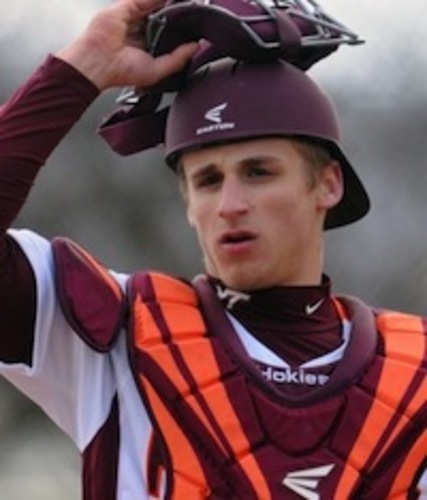 Earlier in the day, Grant Kay (Cotuit, 2014), a 27th-round pick of the Tampa Bay Rays, cycled in his first professional game as short-season Hudson Valley beat Batavia 16-4 in the New York Penn League. Kay initially balked at signing and reported to Cotuit, where he batted .538 with two homers and four doubles in six games before coming to terms with Tampa Bay. A witness to Kay’s cycle was new teammate and longtime friend Casey Gillaspie (Falmouth, 2013), who also played with him on youth teams in their hometown of Omaha. “It was pretty exciting to see,” said Gillaspie, the Rays’ first-round draft pick last month. “It couldn’t happen to a better guy.” The day’s first cycle was crafted by Albert Amora, another Cubs prospect, who did it for Daytona against Jupiter in a Florida State League contest.